Julie & the grandbabies left on Sunday. It was a gloomy, rainy, yucky day... the weather felt appropriate for the day. Ricky wanted to go shopping but I needed to take a shower & didnt really feel like getting out. So I just stayed snuggled at home & while Ricky went out skating, I just finished up the frig of Thanksgiving leftovers. It was the perfect comfort food for the day. & you all are spread out from New Jersey, to Florida, to Georgia, to Arkansas, to Ohio, to South Carolina, to Missouri, & even the west coast in Washington... I need to buy an RV & do a road trip! :) Now THERE would be some fun blog posts! Know that YOU are what I'm thankful for today! Wouldn't that be a blast to travel around and meet all our friends! Let me know and I'll go with you! glad you had a fun time with the grandbabies.. It is sad to leave.. I am glad I met you in the blogging world.. I'm so glad that you got to spend Thanksgiving with them. Will you see them at Christmas? I love you friend and if I had a bucket list, you my dear friend would be on it. A bloggy RV road trip? I'm IN! That would be awesome, wouldn't it? 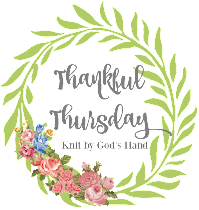 I have LOVED your Thankful posts this month!! My hubby doesn't understand how I call my bloggy friends, FRIENDS. He says you don't even know them but really I feel like I DO!! I am so thankful for you and would LOVE to meet you one day!! Thank you for your prayer!! I really do appreciate it!! Road trip! Woo Hoo! Come on down!